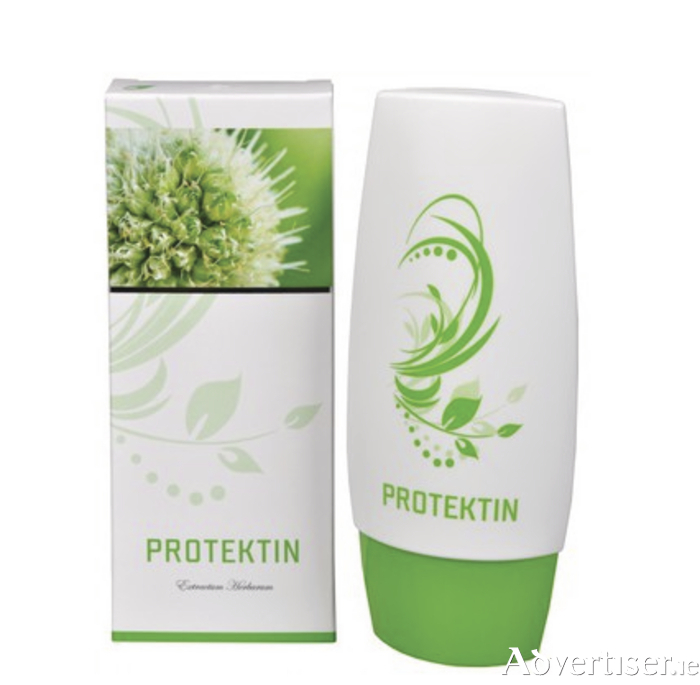 Protektin herbal skin cream primarily influences and balances the energy channel of liver, gall bladder, stomach, and spleen, controlling channel, belt channel, yang connective channel, and thus affects conditions related to dysfunction of these channels. Due to the high volume of absolutely natural and well-tried substances Protektin has unique regenerative effects on the skin. The cream is based on the thermal water from the Podhajska hot spring. This tertiary seawater contains high volume of elements and minerals, and its regenerative effect is longer lasting and more profound than the effect of the Dead Sea water. It contains salt, which has antiseptic, anti-inflammatory, blood-circulation-promoting, and purifying effect when applied topically. Furthermore, it contains harmonious composition of boric and silicic acid, magnesium, zinc, iodine, lithium, calcium, chromium, potassium, bromine, fluorine, strontium, rubidium, titanium, iron, copper, and other elements and minerals. These are primarily those elements and minerals which have well-tried positive effect in various eczemas, rashes, and skin diseases. There are known cases of remission of various skin diseases after application of this water. Protektin comprises 50 per cent Podhajska hot spring water. In the bio-information cream the volume of elements and minerals is even increased by other ingredients from plants. Plants macerated in this water enrich Protektin with other interesting substances well known for their positive effects on skin conditions. Hardly any company is able to offer you such volume of vegetal substances. Protektin cream is only available from medical herbalist Patrick Murphy. For further information or to purchase the herbal cream contact 093 27033 or email [email protected]. Spring Time is Ring Time!